Above lines perfectly portrait the power of music. People may not be there for you every time but music will certainly be there whenever you need a companion. We have always enjoyed the shows with curtains open but hardly anyone think of the show going behind curtains. Yes, there is more life to a performance just because of some spectacular performances behind the scenes. However, there are people who have rose to the fame in the music industry in Bollywood because of their unbounded and spectacular qualities. One such name is the famous Dholak Player, Girish Vishwa. 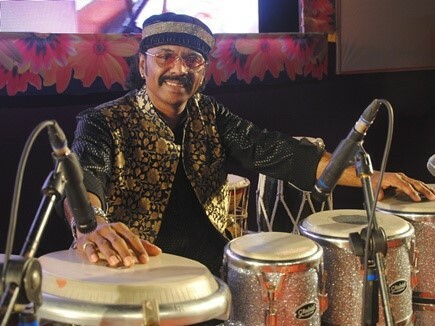 Girish is at present one of the finest dholak vadak in Bollywood with the great passion for Ethnic music. Girish Vishwa, born in 1964, completed his graduation from a Christian college, Indore in Madhya Pradesh, India. His first breakthrough was to play music with "Jhankaar and Chatterjee bros". He moved to Mumbai to become the greatest musician in the music industry in 1985 and there collaborated with 7 colors orchestra and started recording music with well-known directors such as Ram Laxman for movies such as 'Aag ki such' and 'Maine Pyaar Kiya'. From this point, he does not look back and has given music for some of the renowned music directors. Girish has had a wonderful journey throughout his career. One of his biggest contributions in Bollywood music is for ‘dhak Karne lag’ from the movie ‘Beta’. He has gained the honor of working under Ismail Darbar for the Bollywood movies 'Hum Dill De Chuke Sanam' and 'Devdas'. He has been with the music team of Sa Re Ga Ma Pa since its very first show and shares a great bond with production team just because of talent and passion for work. He has been setting new records by being a part of the world tours of legends like Amitabh Bachchan, Anil Kapoor and much more to come. 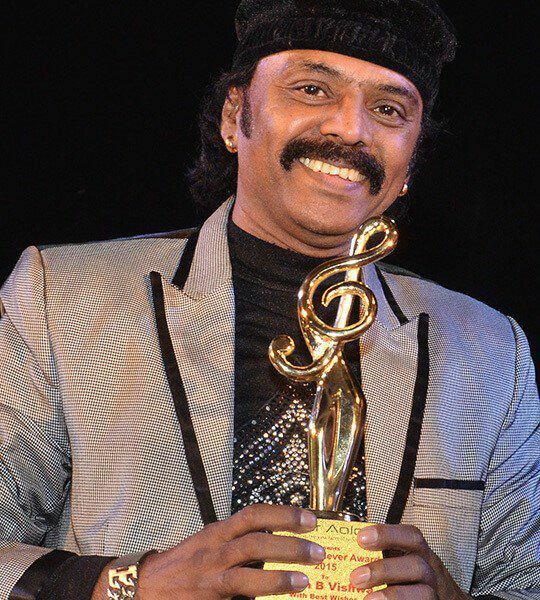 Girish is one of the few who has taken ethnic music to the next level. He follows a different path of music which brings a lot of originality to his performances. 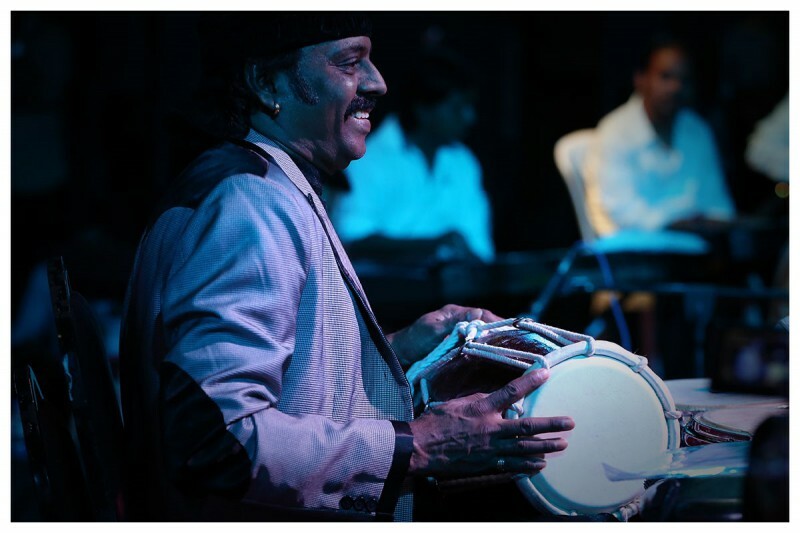 He has set some serious goals in the ethnic music industry by his unbeatable beats of Dholak. He has paved a special place even working below the curtains and that too adding perfection to other’s work as well. He is a perfect role model for the younger generation who hesitates to be a part of the ethnic music industry. He has gained the honor of working under Ismail Darbar for the Bollywood movies 'Hum Dill De Chuke Sanam' and 'Devdas'. Satya Sai and Girish Vishwa performed during the Times of India Lakshminarayana Global Music Festival 2015 in Chennai. He does believe in imparting the treasure of Ethnic music to the younger generation. He started his career at the age of 14.